The girls are growing up so much these days! Last weekend, we put together a table for the girls. Ever since, it has become the place for snacks and coloring. 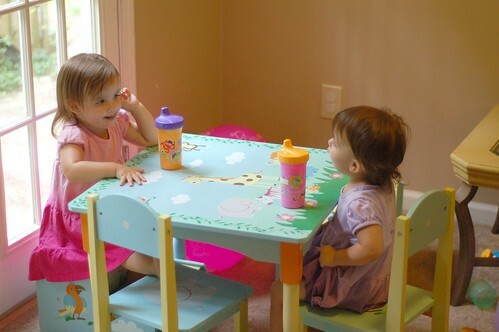 Here it looks like the girls are having a deep conversation at the table. One of the favorite activities of the girls right now is reading books. 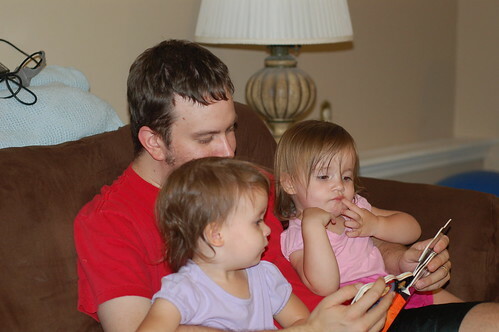 Here we have reading time with daddy.